In this video, Dr. Huntoon discusses Child Ear Infections and what you need to consider. He discusses the most common reason for ear infections in children and helps you appreciate what needs to be done. An ear infection is an inflammation of the middle ear, usually caused by bacteria, that occurs when fluid builds up behind the eardrum. The reason for the fluid buildup is a mal-positioning of the head on the spine. This prevents fluid from draining from the middle ear. The result is bacteria get trapped in the middle ear and causes inflammation. Anyone can get an ear infection, but children get them more often than adults. This is because of the way the eustachian tube is oriented in the child. It is more horizontal or angled up in the child, causing a backup of fluid, where it is angled down in the adult allowing fluid to drain. Three out of four children will have at least one ear infection by their third birthday. In fact, ear infections are the most common reason parents bring their child to a doctor. The scientific name for an ear infection is otitis media (OM). There are three main types of ear infections. Each has a different combination of symptoms. An ear infection occurs when the fluid from the middle ear does not drain properly. When a child’s head does not sit properly on their spine, due to the size and weight of the child’s head in relationship to their neck and body, mal-positioning of the head on the spine can create a restriction in the middle ear’s ability to drain properly. The mal-positioning often occurs during the birthing process or when the baby’s head is not properly supported when lifting the baby. The mal-positioning that results will slow or stop the fluid from draining. The main reason for this in children is because the eustachian tube is oriented in a flat, horizontal fashion or may be angled up depending on the position of the child. This prevents the fluid from draining properly. In the adult, the tube is angled in a more downward fashion, thus allowing the fluid to drain easier. Another reason this occurs in children frequently is from having repeated bouts of spitting up during or after feeding. This causes some of the food material or liquid to travel up the eustachian tube to enter the middle ear. Once in the middle ear, potential bacteria will begin to grow. An ear infection can also be caused by bacteria and may begin after a child has a sore throat, cold, or other upper respiratory infection. If the upper respiratory infection is bacterial, these same bacteria may spread to the middle ear; if the upper respiratory infection is caused by a virus, such as a cold, bacteria may be drawn to the microbe-friendly environment and move into the middle ear as a secondary infection. Because of the infection, fluid builds up behind the eardrum. Adenoids are small pads of tissue located behind the back of the nose, above the throat, and near the eustachian tubes. Adenoids are mostly made up of immune system cells. They fight off infection by trapping bacteria that enter through the nose. Eustachian tubes are smaller and more level in children than they are in adults. This makes it difficult for fluid to drain out of the ear, even under normal conditions. If the eustachian tubes are swollen or blocked with mucus due to a cold or other respiratory illness, or if the vertebrae in the neck at the base of the skull is mal-positioned, fluid may not be able to drain. This is why it is important to have your child checked by a Holistic Chiropractor. Working with a Holistic Chiropractor who can determine if your child’s head is mal-positioned on their spine will help to determine if the middle ear is draining properly. If there is a concern, the Holistic Chiropractor will make the necessary adjustment to your child to allow proper alignment of the head on the spine and allow the ear to drain properly. This usually takes one or two adjustments and allows for a full recovery. This is the best course of action when suspecting an ear infection, as recovery is quick and does not involve medication. If the child does not recover in a day or two, the Holistic Chiropractor will refer you to a medical doctor. If your doctor isn’t able to make a definite diagnosis of OM and your child doesn’t have severe ear pain or a fever, your doctor might ask you to wait a day to see if the earache goes away. Your doctor may ask you to bring your child to a Holistic Chiropractor to see if it is caused by a mal-positioned head on the spine. Sometimes ear pain isn’t caused by infection, and some ear infections may get better without antibiotics. Using antibiotics cautiously and with good reason helps prevent the development of bacteria that become resistant to antibiotics. If your doctor prescribes an antibiotic, it’s important to make sure your child takes it exactly as prescribed and for the full amount of time. Even though your child may seem better in a few days, the infection still hasn’t completely cleared from the ear. Stopping the medicine too soon could allow the infection to come back. It’s also important to return for your child’s follow-up visit, so that the doctor can check if the infection is gone. It is equally important that your child be on a probiotic for the length of antibiotic treatment as well as for several months after the antibiotic treatment is over. This will help to offset the negative effects of the antibiotics that lead to further mucus and other immune system and digestive problems. Working with a Holistic Chiropractor who can determine if your child’s head is mal-positioned on their spine will help to determine if the middle ear is draining properly. If there is a concern, the Holistic Chiropractor will make the necessary adjustment to your child to allow proper alignment of the head on the spine and allow the ear to drain properly. This usually takes one or two adjustments and allows for a full recovery. Your child should start feeling better within a few days after visiting the doctor. If it’s been several days and your child still seems sick, call your doctor. Your child might need a different antibiotic. Once the infection clears, fluid may still remain in the middle ear but usually disappears within three to six weeks. This is a good reason to follow up with your Holistic Chiropractor to make sure the head is sitting on the spine straight, the fluid drains properly and the proper probiotics have been prescribed. This will eliminate the basis for any repeat infections. This is usually not the case if working with a Holistic Chiropractor. To keep a middle ear infection from coming back, it helps to limit some of the factors that might put your child at risk, such as not being around people who smoke and not going to bed with a bottle. Keeping the head properly positioned on the spine to allow the middle ear to drain properly is necessary. With all the physical activity children experience and the potential for mal-positioning of the head on the spine due to the size of many infants heads in comparison to the rest of their body, regular visits to your Holistic Chiropractor is the best form of treatment and prevention for an ear infection. In spite of these precautions, some children may continue to have middle ear infections, sometimes as many as five or six a year. Your doctor may want to wait for several months to see if things get better on their own but, if the infections keep coming back and antibiotics aren’t helping, many doctors will recommend a surgical procedure that places a small ventilation tube in the eardrum to improve air flow and prevent fluid backup in the middle ear. The most commonly used tubes stay in place for six to nine months and require follow-up visits until they fall out. Currently, the best way to prevent ear infections is to work with a Holistic Chiropractor who can determine if your child’s head is mal-positioned on their spine. 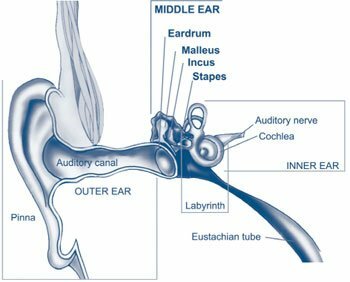 This will help to determine if the middle ear is draining properly. If there is a concern, the Holistic Chiropractor will make the necessary adjustment to your child to allow proper alignment of the head on the spine and allow the ear to drain properly. Your child can then assume a normal childhood. Other ways to help prevent ear infections is to reduce the risk factors associated with them. Here are some things you might want to do to lower your child’s risk for ear infections.